The most menacing type of cyberattack is invisible. 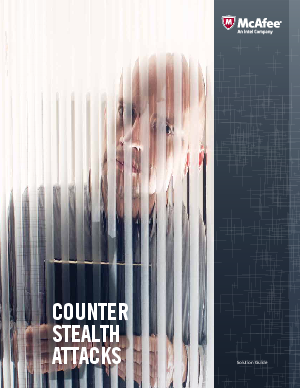 Using sophisticated techniques to hide its presence, a stealth attack may operate outside of the OS or move dynamically across endpoints to conceal the attackers’ actions. The risk to enterprises is real, with high-profile attacks such as Operation High Roller impacting companies around the globe. Traditional antivirus or intrusion prevention systems are no match for this new breed of attack; instead, enterprises need layered security controls that work together to detect the presence and actions of stealthy malware and attackers.